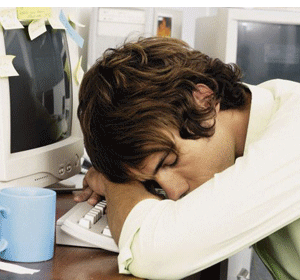 How Safe is Your Blog from Fatigue? Working from home has become so glamorized that most keen entrepreneurs entering into it don’t really quite understand the realities of running a blog. I remember the dangling carrots that initially caught my attention. I’m pretty sure most people enter into the blogging industry with such benefits in mind. And I really believe that these are true benefits. I don’t for one second doubt that I will one day be able to travel the world as a direct result of my blog business. But the real crux is this: what does it take to build a blog that enables you such freedom? What kind of realities do you have to face to achieve such? What kind of challenges do you have to overcome to be able to stand tall on the other side of the success fence? All these realities and challenges can easily wear you down, tire you and shatter your dreams. In answering this question, I am going to share some tips that have helped me a great deal. Hopefully these tips will get you thinking (if you haven’t done so already) about ways to protect what I think is an incredible asset – your blog. I also hope the tips will inspire you to keep at it – through the fatigue because the reality is that there comes a time when you just feel tired. One of the best ways to protect your blog is setting some goals up front. This is like a guideline that energizes your efforts. Spend some time setting goals for your blogging activities. As an example, you can set a target for the number of articles you want to publish or the number of links you want to build per month. Set some targets for your desired results as well. As an example, what traffic stats, subscribers and income are you aiming for? What if you don’t achieve your set goals in the desired time-frame? Don’t stress! The reality is that someone with a set of goals will eventually reach those goals. Someone without goals never really knows what they are working towards. Less is more! You become more productive when you simplify your life. To simply your blogging requires you to have a blogging schedule. This is where you plan your blogging – when you will do the research, writing, admin, etc. You won’t always be able to stick to the plan 100%. That’s not the point though. The point is to simplify your life and avoid fatigue. Not having a plan though will disorganize you and frustrate you. When you start to feel frustrated, fatigue sets in. It’s also important to remember that blogging is only one part of your life. On an average day, I do gym, do some road-running, read my Bible, have to spend time with family. You might have a very different lifestyle and it’s important to factor all those other aspects into your day and week. Having a schedule means nothing if you don’t consistently act on it. Starting is good but it’s half the solution. The key is consistency. To be consistent, requires you to take charge of procrastination. Killing procrastination requires a completely different outlook on life that entails a lot of sacrifice. There are old habits and people you need to get rid off so you can develop new ones that will add value to your blog business. Scary, but true! I am not suggesting you become a workaholic. But, consistency requires you to put in the abnormal hours when people opt to chill. Fatigue will get the better of you if you refuse to give up some old habits. Our business requires us to interact with our competition. If you don’t embrace the fact that Competition Is King in our industry, you soon get discouraged and suffer from fatigue. Other bloggers traffic stats, comments on their blog posts, RSS Subscribers and income figures can easily discourage you. It can drive you crazy when a blog attracts 100 000 unique visitors per month when yours can barely manage 100. What about the $50 000p/m cash cows when yours can hardly pull in $50? Use those successful blogs as your benchmark. Don’t see them as a ‘pie-in-the-sky’ achievements because you will suffer from fatigue. A blog is a business. We are all building assets that will serve us well in future. And just by the way – there’ll be no traveling without money right! Despite all of this, money should never be your priority. Yes, we all keep a hawk’s eye view on those affiliate commissions. After all, it is exciting to earn income online. Not earning commission for months early on can drive you nuts to say the least and cause major fatigue. If you chase the money, you’ll compromise on integrity and ethics. And that is the quickest way to kill your blog. Like the cliché always goes: “offer value” and everything else will come naturally. Lastly, you need to monitor your results frequently. If you don’t know where you are going, how on earth do you stay motivated? Progress is encouraging. You need to know what’s working and what isn’t. That way you can focus your energy on the right areas of your business. Blogging is incredibly fun. But – let’s be honest, we’ve all gone through that ‘Is this really for me moment’ when fatigue creeps up on us. I’ll tell you this much – it comes with the territory. Ride those waves of fatigue like a seasoned surfer and you’ll be amazed at how you’ll keep you blog safe from fatigue.